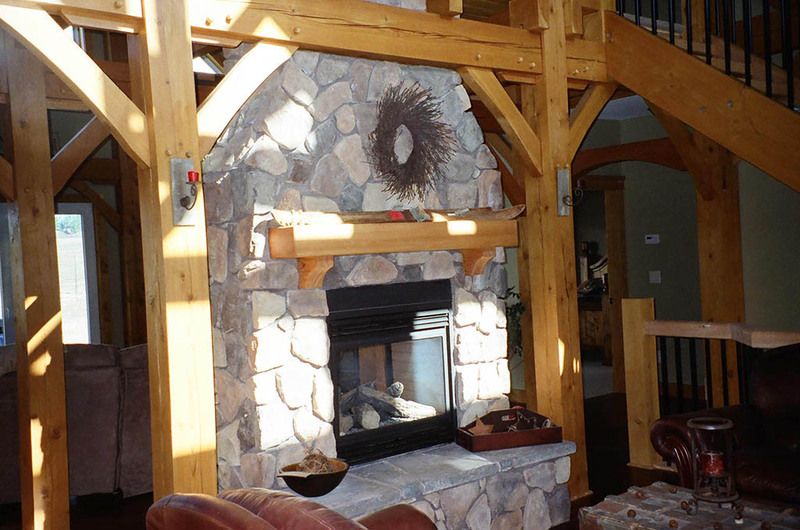 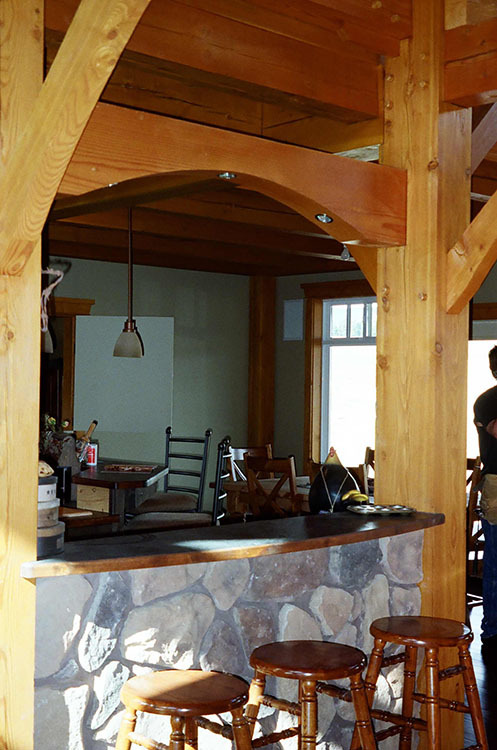 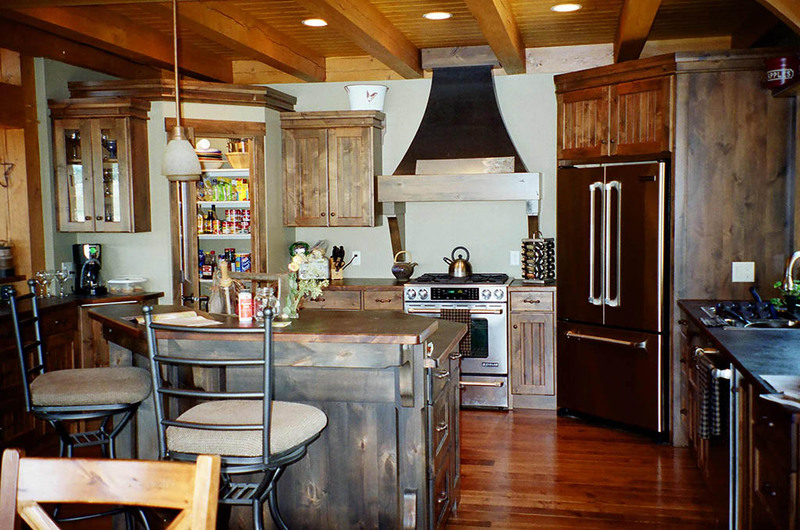 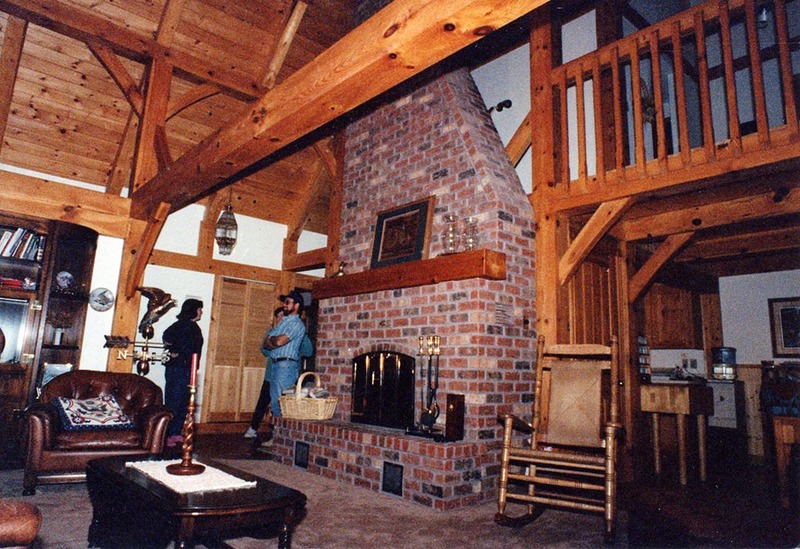 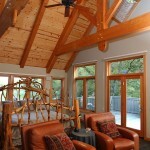 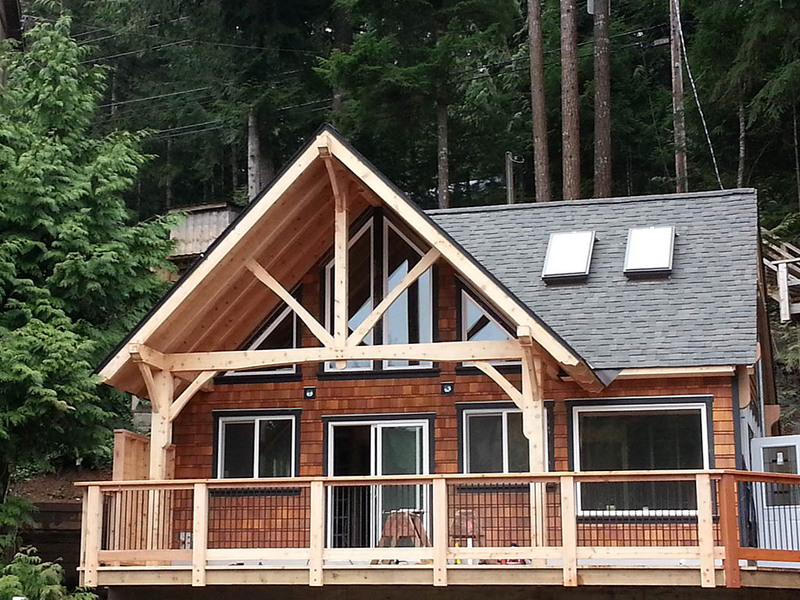 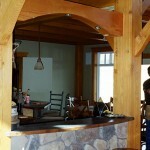 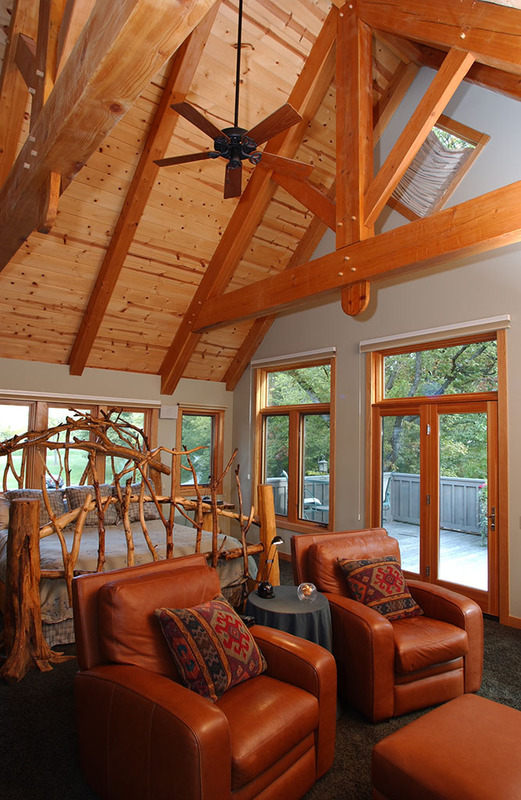 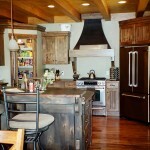 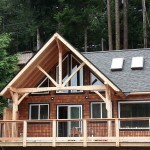 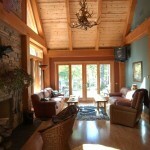 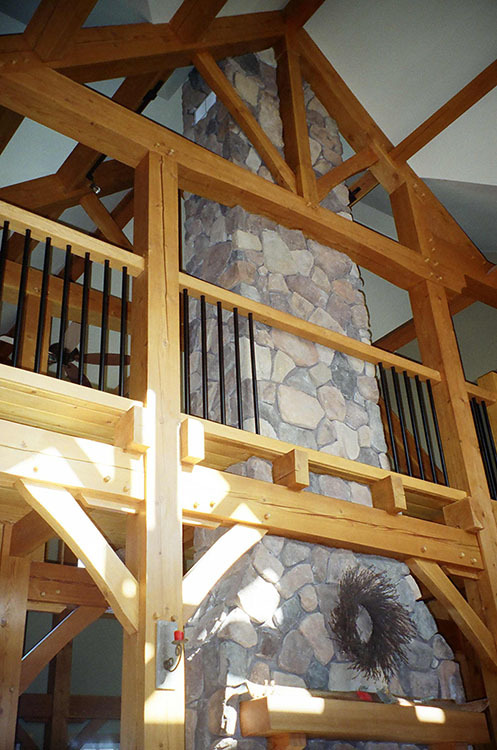 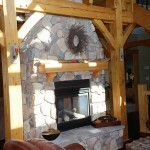 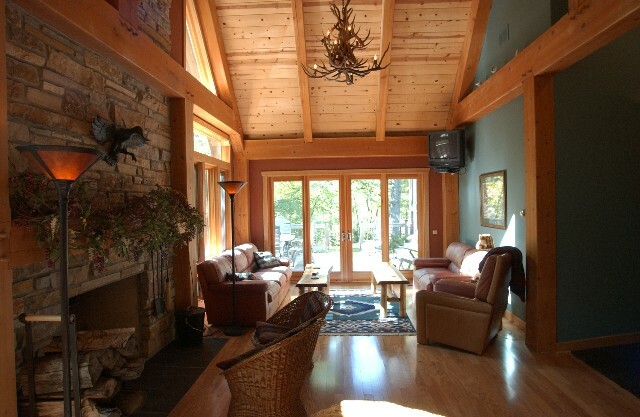 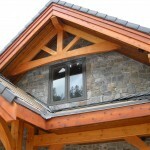 Log & Timber Works crafts traditional timber frame homes that are long-life structures. 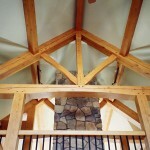 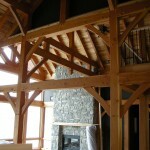 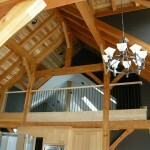 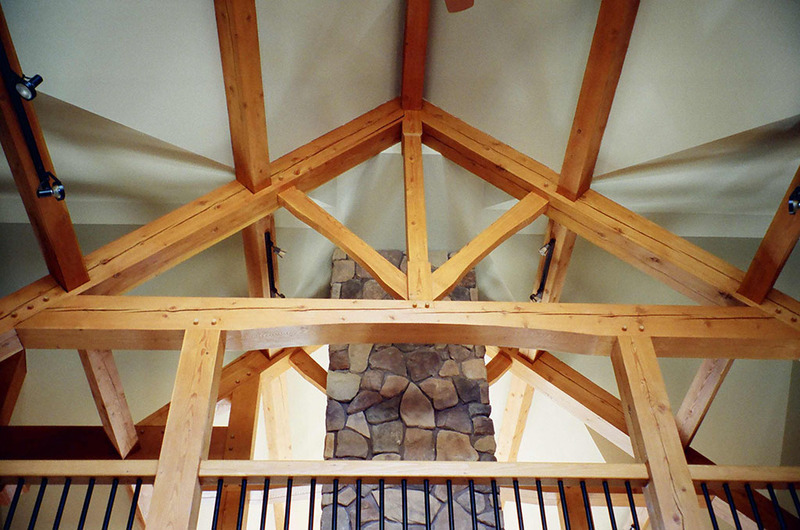 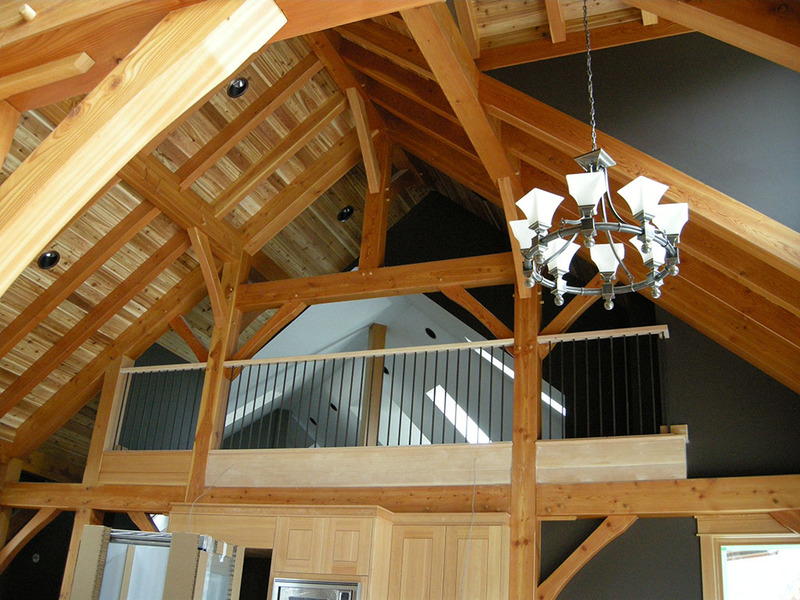 Timberframing is a timeless method of home construction that lends itself well to unlimited design possibilities. 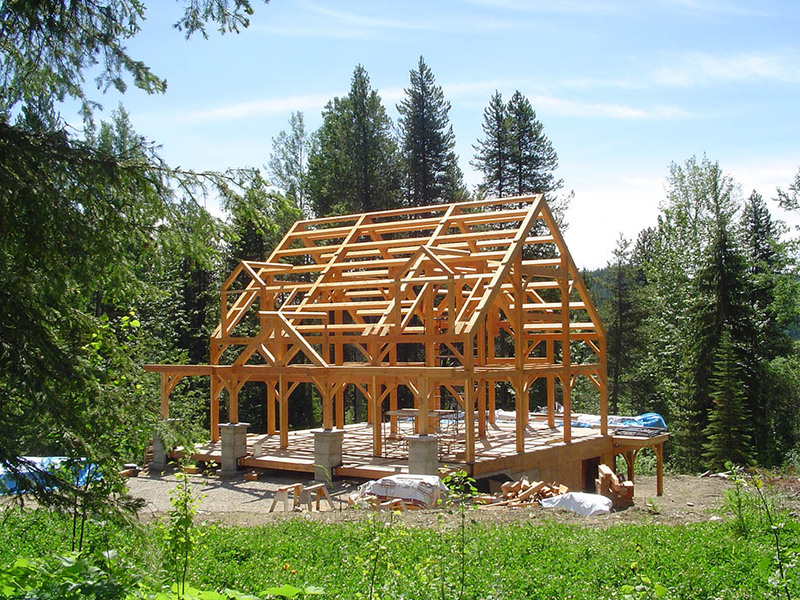 Due to their self-supporting nature, timberframe homes are quite versatile and can easily accommodate the changing needs of families over time. 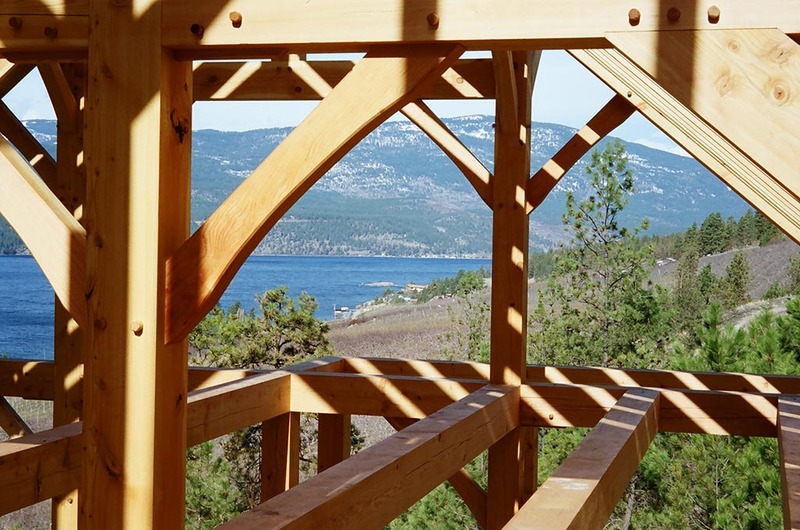 At Log & Timber Works, our preferred wood species for the construction of timberframes is Douglas Fir, but other options include Pine and Oak. 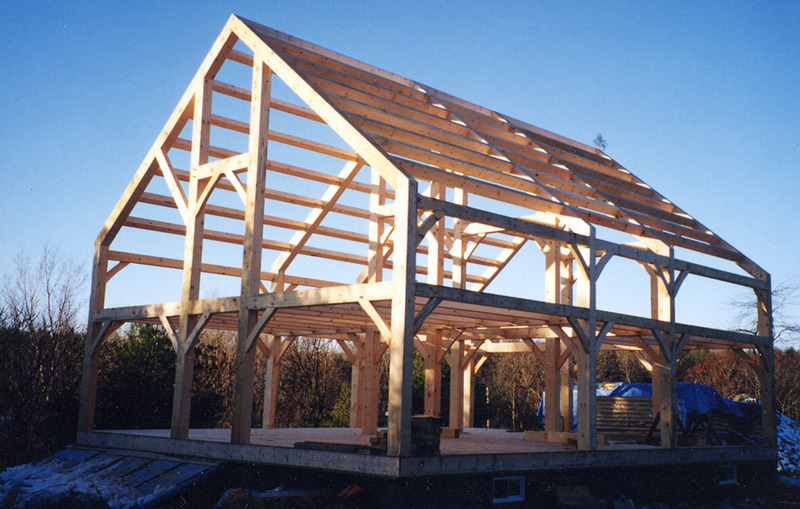 The most important, and initial, consideration in the design of your timberframe is the species of wood from which your frame will be cut. 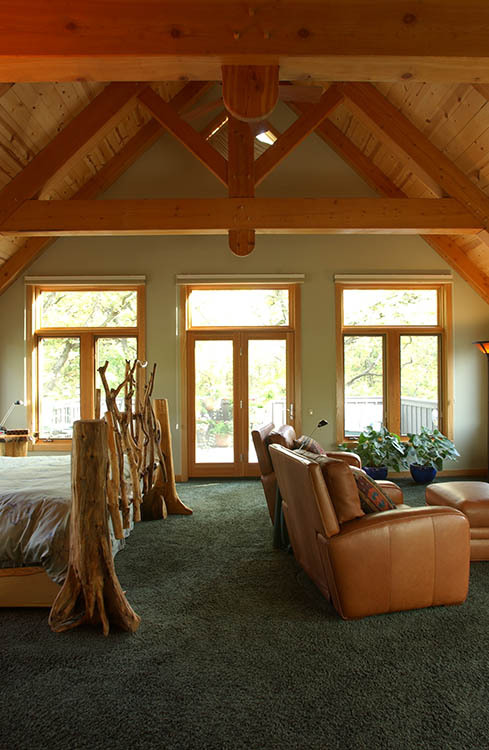 For instance; softer woods such as Pine require larger timbers for strength and will result in a “heavier” frame, while harder woods such as Douglas Fir and Oak allow smaller timbers to be used and result in a more delicate frame. 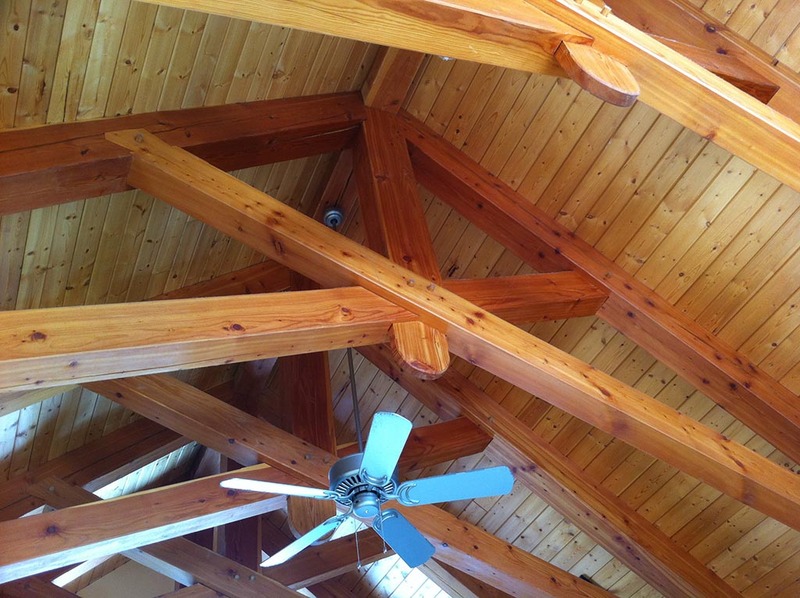 Species of wood will also affect the colour, knot pattern and overall cost of your home’s timbers, other important considerations during the design phase of your project. 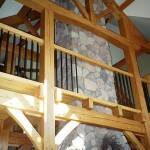 Timbers can be sawn from standing dead, fire kill and select harvest trees. 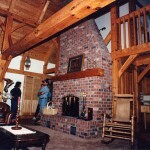 Other options include using kiln dried or reclaimed timbers. 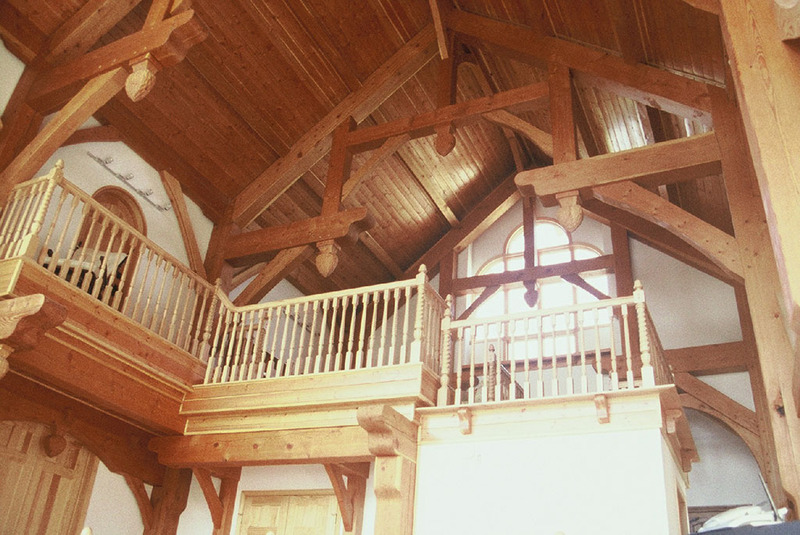 With over 20 years experience in the timberframe industry, Log & Timber Works has produced homes of various sizes and designs. 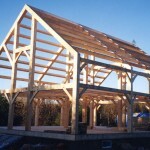 We are pleased to consult with you and your architect, designer and general contractor to ensure that your timberframe building delivers the function and characteristics you desire. 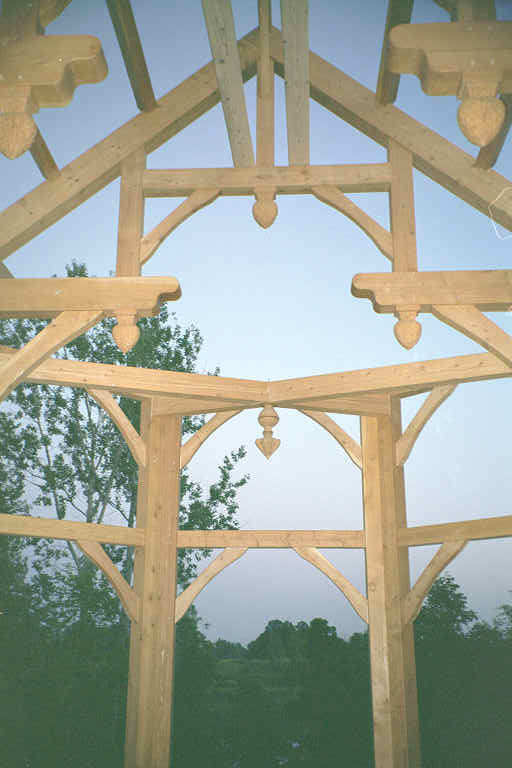 A timberframe is a self-supporting structure built with timbers, held together with mortise and tenon joinery and fastened with oak pins. 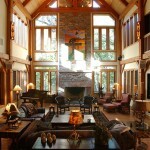 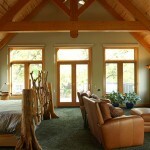 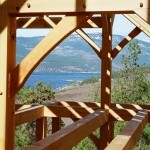 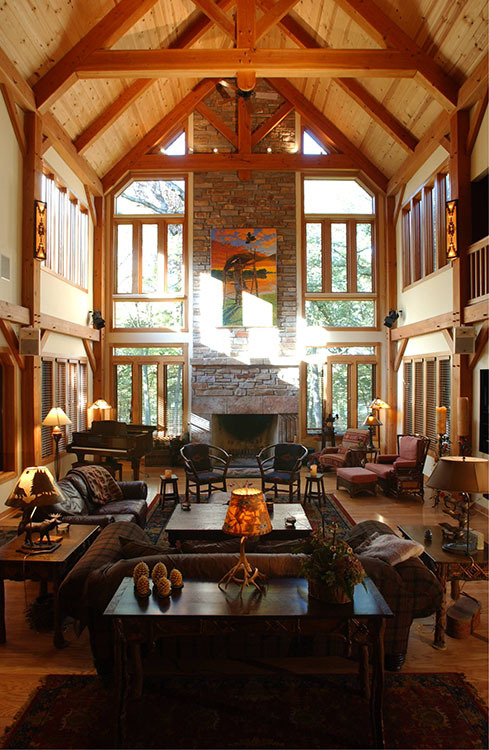 The self-supporting nature of timberframes allows for expansive, open concept areas within the structures. 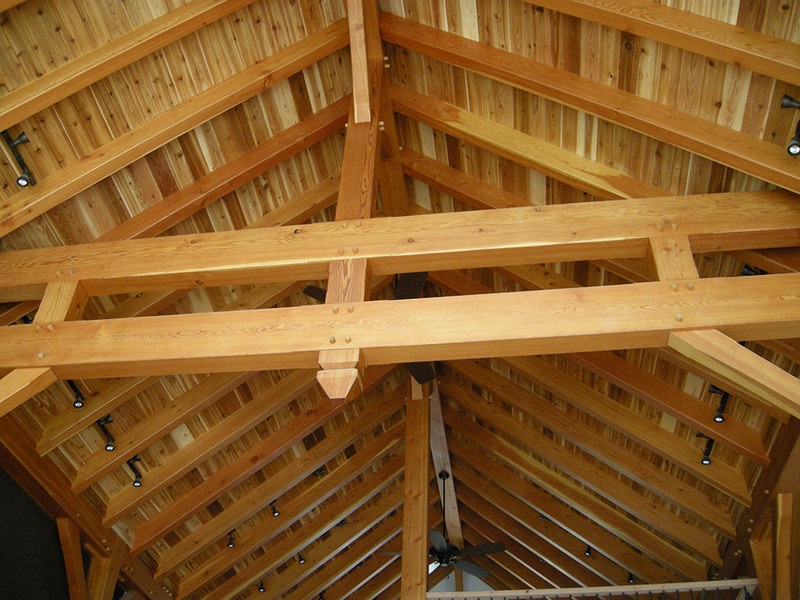 Timberframe trusses make these open areas possible; the dynamics and components of the trusses transfer loads from the roof down to the frame’s main posts and ultimately onto the building’s foundation. 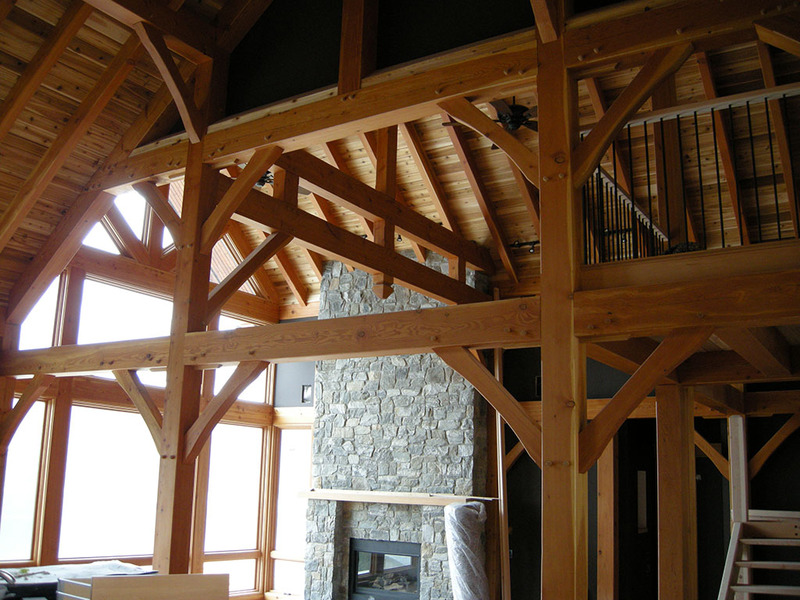 There is a common misperception that the terms “timberframe” and “post and beam” are interchangeable. 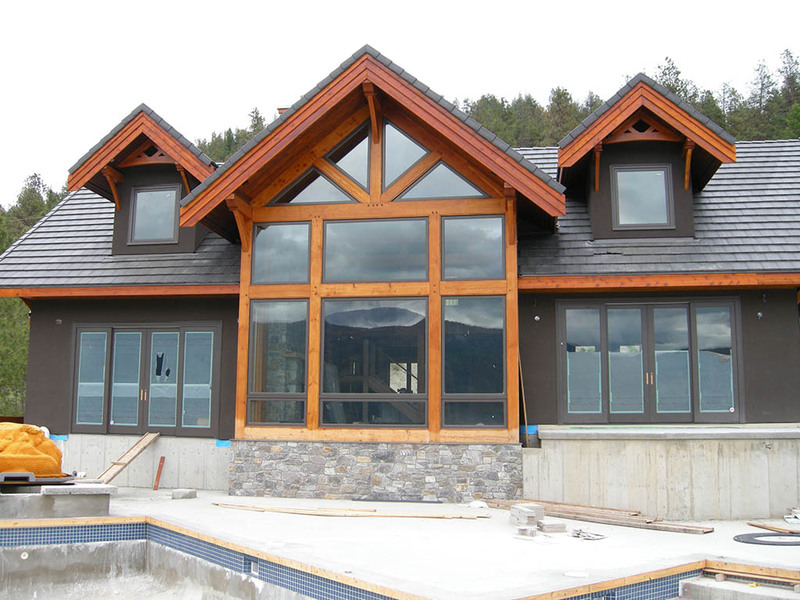 They are not. 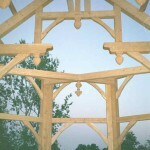 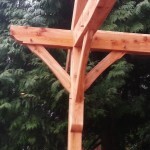 A timberframe is not a post and beam. 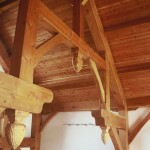 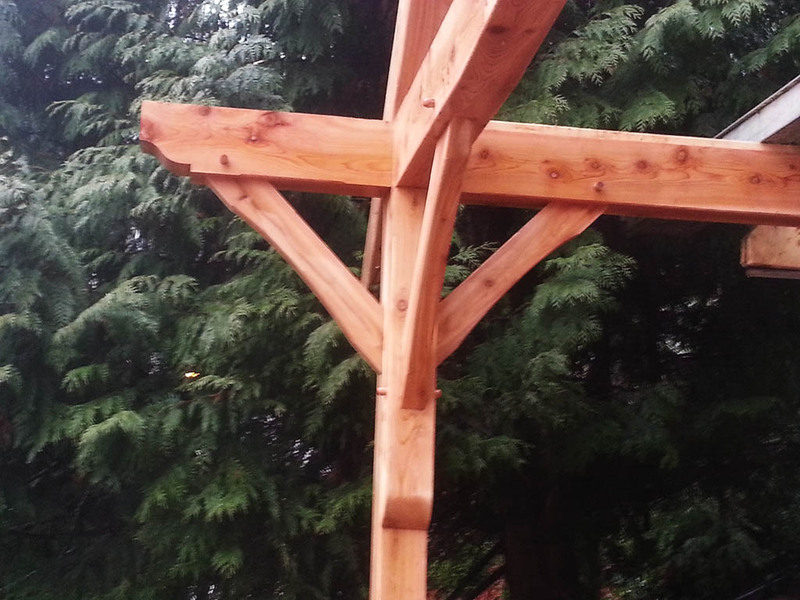 The joinery is not always as complex and shorter lengths of timbers are used in a post and beam. 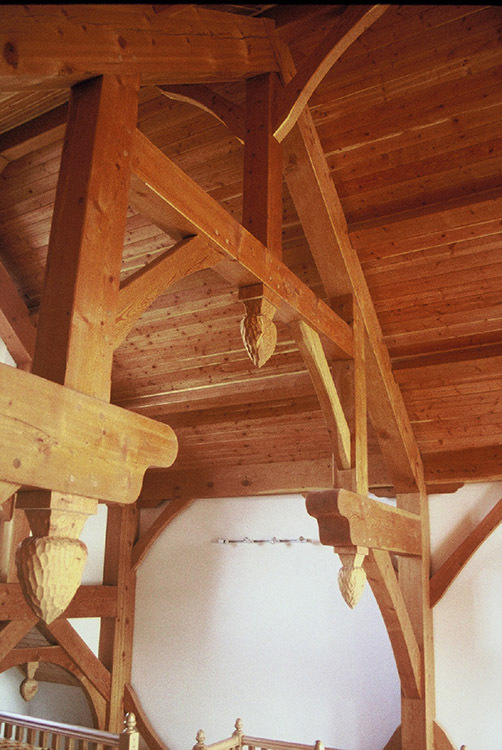 The main posts in a post and beam structure do not run floor to roof plate as they do in a timberframe; instead, beams at each level within the building interrupt the posts. 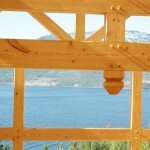 Due to this configuration, a post and beam does experience some degree of settling. 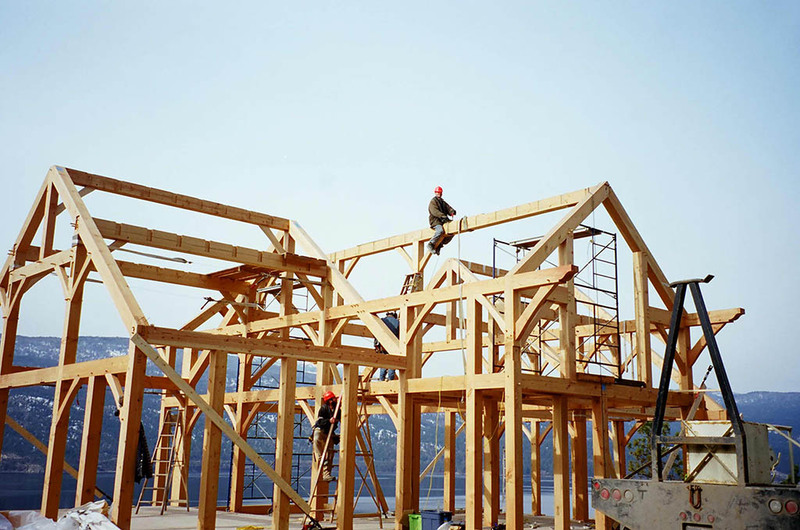 Settling issues are considered and addressed accordingly in post and beam construction. 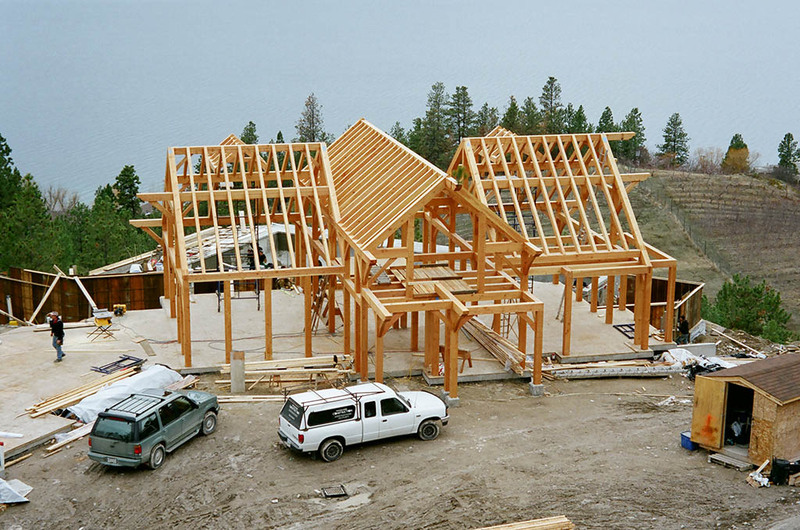 Before a timberframe can be raised, the basement and sub floor deck must be in place and backfilled. 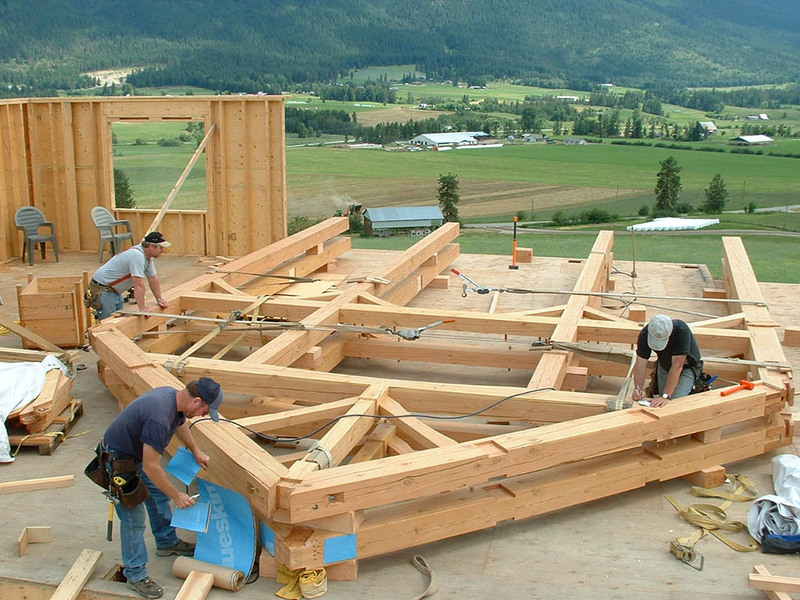 Your timberframe will be delivered to your building site and the cross-sections, or “bents”, of the timberframe will be fit on the sub floor deck. 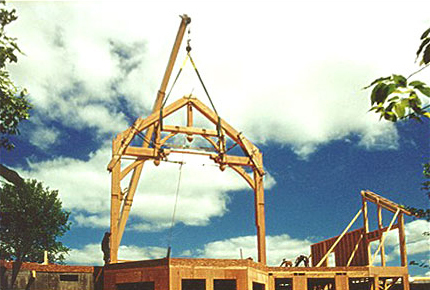 When all bents are fit, a crane is utilized to lift the bents into place on the sub floor. 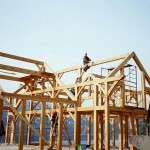 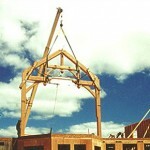 The bents are then braced and connecting members, roof timbers are put into place and the entire timberframe is pinned together. 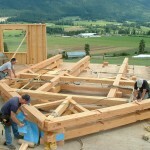 The same craftsmen who cut your frame will raise your frame. 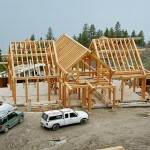 Log & Timber Works does not employ outside trades people for this critical task. 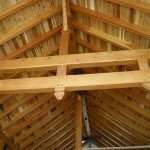 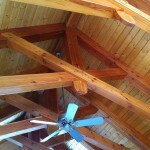 The same care and attention to detail employed in cutting your timbers must also be provided in raising them. 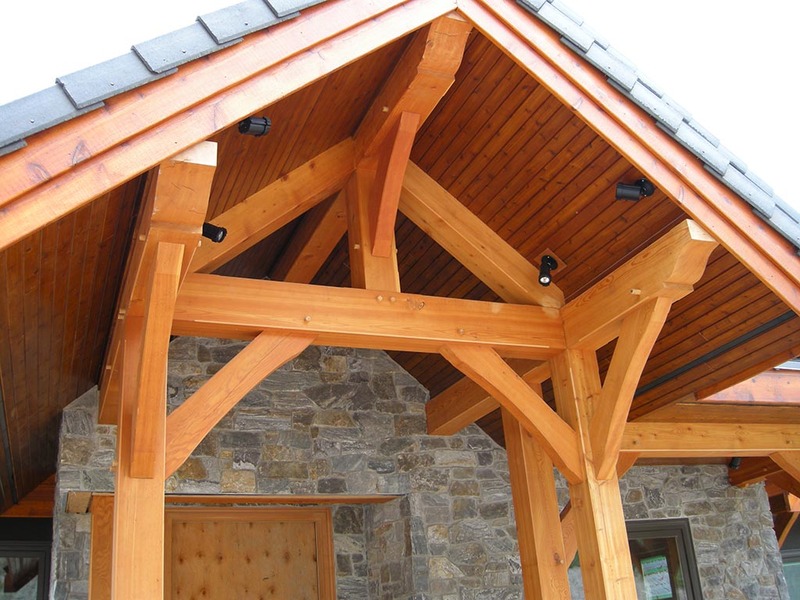 Log & Timber Works will work in conjunction with other subtrades to achieve a seamless outcome to your timberframe project. 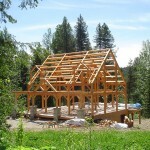 Structural Insulated Panels (SIPs) are commonly used to envelope and close-in timberframe homes. 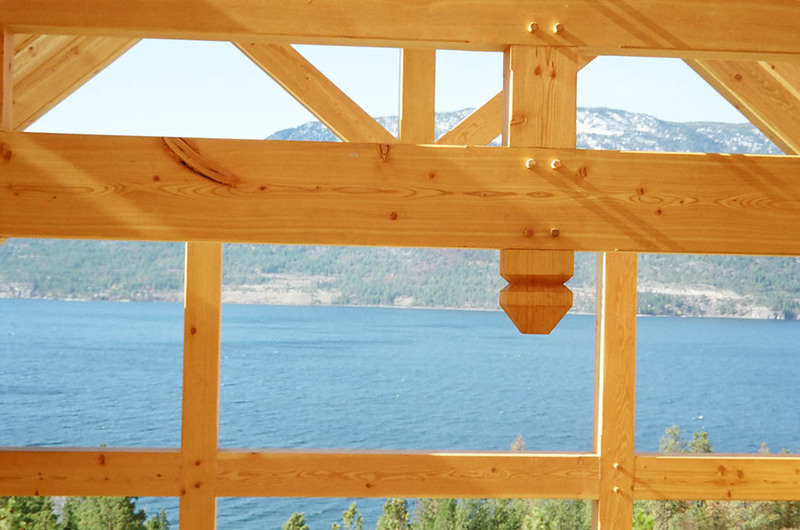 These panels do not interrupt the insulation properties of the structure, as conventional stick framing will at each stud or rafter. 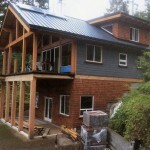 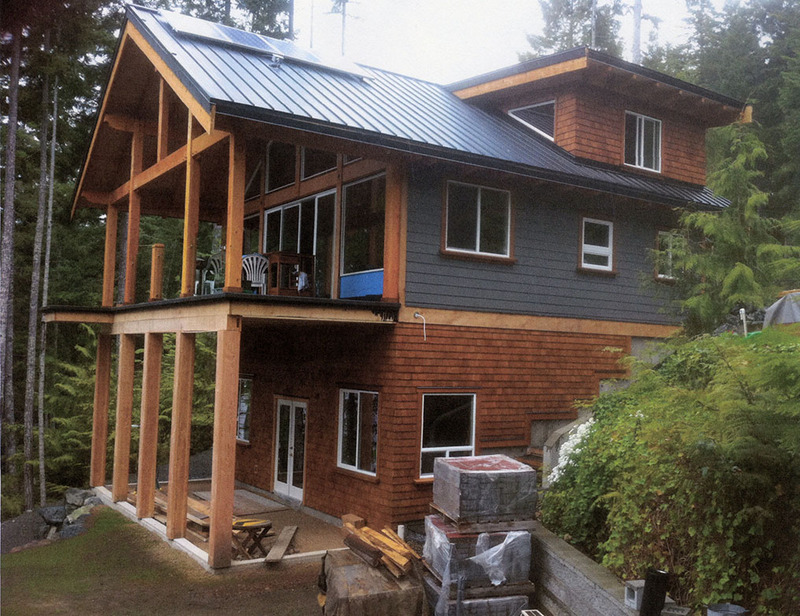 SIPs provide for an extremely air-tight, energy efficient home. 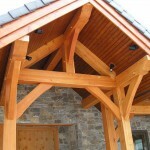 Log & Timber Works is experienced in SIP installation and these services are available to all our clients. 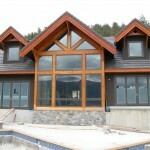 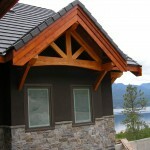 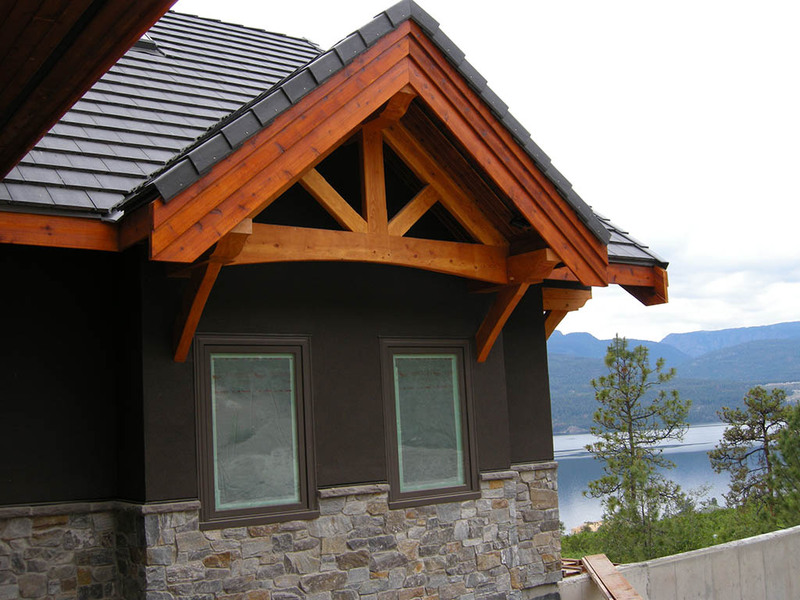 The exterior cladding of your timberframe may be any combination of wood siding, stone, brick or stucco. 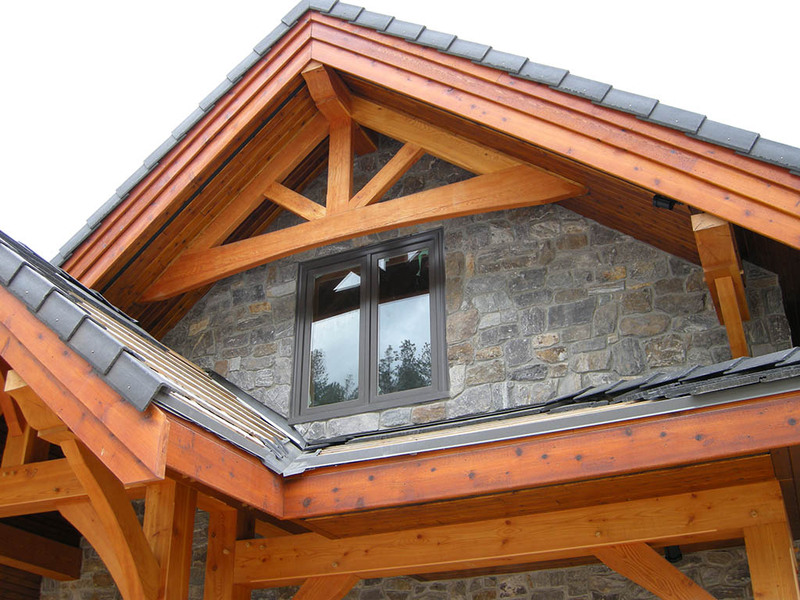 Since timberframes accommodate any design, the overall style of your home will determine the materials you choose for the exterior of your house. 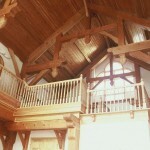 If you would like to discuss any element of timberframe construction, please contact us.